Most people recognise the importance of having a Will to determine how their estate is to be distributed to loved ones when they pass away. However, if you’re a partner in a business or a shareholder of a company, having a succession plan for your business is equally important. Think about what may happen to your business when a key partner or shareholder dies or is incapacitated. Generally, business owners are mutually dependent – each relying on the other(s) for their skills, expertise and capital so the business can prosper. The death or incapacity of a key player causes unprecedented interruption. The continuing owners need to fill a void and, unless funds are available to buy out the departing owner’s share, there is uncertainty over the future control and sustainability of the business. Business disruption due to the death or terminal illness of a business owner, however, can be controlled through buy-sell insurance and an effective buy-sell agreement. Why is buy-sell insurance important? Buy-sell insurance can minimise the impact of losing a business owner by providing lump sum funding towards the purchase of a business owner’s share after their death, total and permanent disablement or in the event of trauma. The payment enables the continuing owner(s) to acquire the departing business owner’s share. Without business insurance, continuing business owners may be unable to fund a buy-out and be forced to wind up the business or transfer the outgoing business owner’s share to an unknown party. If a business owner dies, the business may face demands from that owner’s legal representative to freeze or sell assets to satisfy an interest claimed by the estate. The business may also be subject to the unsolicited involvement by the legal representative or family member of the deceased owner. Buy-sell insurance and an associated buy-sell agreement prepared by a competent lawyer minimises these risks. The insurance and agreement work together as a business succession plan by providing the funding and process to sustain the business upon the happening of certain events. As a result, disputes are minimised and owners can plan with some degree of certainty. The buy-sell agreement incorporates the arrangements for owners to hold insurance and sets out procedures for acquiring a departing owner’s share. Often the relevant terms are included in other legal documents such as a partnership agreement or shareholders agreement. The buy-sell agreement is a fundamental part of business succession planning. The agreement acknowledges the goodwill and value of the business and the respective interests held by the owners. It sets out the rights and obligations of all owners and the process for acquiring and transferring shares. A buy/sell option for owners to acquire and dispose of shares and the events that will trigger the right to exercise an option, whether they be the death, permanent disablement, or trauma of one of the owners. The agreement details the process and timeframe for exercising an option, which may vary depending on the type of event. For example, a longer timeframe may be preferable following a traumatic event, giving an owner time to recuperate and return to the business if recovery is possible. Voluntary events such as retirement and resignation cannot be insured, however, the agreement should also facilitate procedures for buying out a retiring owner. This may be through an instalment plan with the departing owner retaining a (proportional) interest in the business until fully paid out. 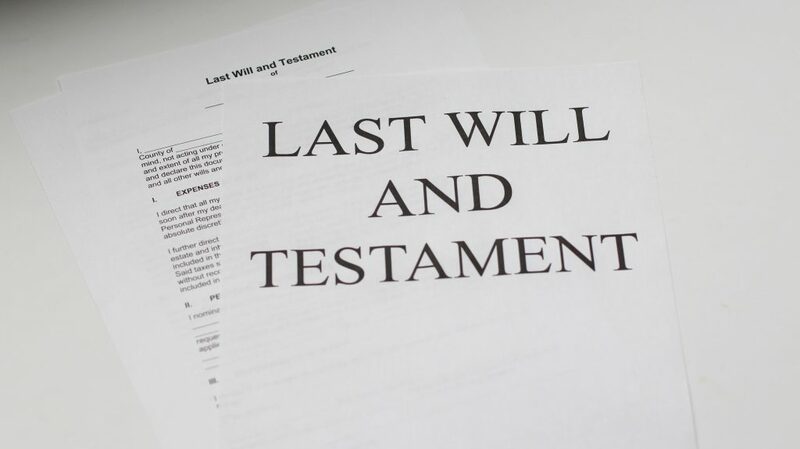 The agreement should bind the owners’ executors or legal representatives. Arrangements for funding insurance, the responsibility for payment of premiums and the types of insurance to be taken out. The agreement should specify how the policies will be held, which may be by cross-ownership,individual-ownership, through the business entity itself, a trustee or superannuation fund. Each method has its advantages and disadvantages. Your accountant can explain these to you and ensure that taxation issues such as capital gains and fringe benefits are considered. An agreement for valuing the business and each owner’s share, which will be proportionate to their respective contributions. A starting point for valuing the business may be the market value at the date the insurance is taken out, indexed annually to account for future growth. Your accountant can assist in preparing a formula based on predicted market conditions and future profits – this should be reviewed regularly to take account of changing circumstances and market fluctuations. Determining the level of cover required to sustain the business and buy out the relevant share of a departing owner based on the market value and the owner’s proportionate interest. Provisions for maintaining and increasing cover in line with the growth of the business should also be included. Terms to release the departing owner from debts, guarantees, securities and future business liabilities. The sudden death, injury or illness of a key business owner can have devastating effects on the value and continuity of a business. Holding buy-sell insurance with an effective succession plan will minimise the effects of losing an owner and preserve the value and reputation of a business. Owners are then free to focus on the development of the business knowing that their efforts will withstand unforeseen events. The matters that need to be addressed when acquiring insurance and entering a buy-sell agreement are complex, and should always be discussed with your accountant and lawyer. If you or someone you know wants more information or needs help or advice, please contact us on (08) 9380 9288 or email jonathan@dclawyers.com.au, guy@dclawyers.com.au or robert@dclawyers.com.au.